Sold in bundles of 1 only. 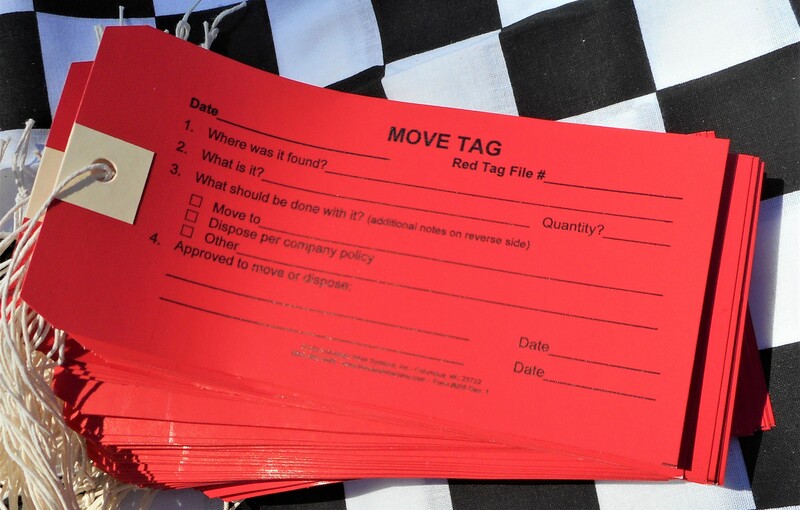 Designed for tagging items that are no longer needed for production. Preprinted with space for identifying where the item was found, what it is, and what to do with it, with cotton strings attached.